Are you looking for elegant and soothing blinds? Then nothing will fit best as vision blinds from Just Blinds 4 u. Vision blind is a revolutionary invention in the world of window necessities. By installing this in your room you can enjoy of both the facets- with the stylist translucent screen you can keep the sheer light of the Sun and relish the balminess in the room while its thick layer can help you protect the privacy. This layer are just a kind of roller blinds, comes with varied type and style to fit best with the office and residential ambience. At Just blinds 4 u we house a range of eclectic designs of vision blinds designed to enhance the inner aesthetic aspect of a room. For more than a decade we are serving high-quality vision blinds across the suburbs of Melbourne like McKinnon, Carnegie, Oakleigh, Moorabbin, and beyond. So, if you are residing in any of these places and looking to opt for an affordable vision blind then currently you are at the right place to get in hold on your desired product. Our manufacturers have combined the vision blinds with an effective material and mechanism that can easily glide through vertically or horizontally and gently filter the scorching daylight whilst leaving a soothing ambience in the room. Why just Blinds 4 u? There are a number of blind manufacturers you can get the service from. But you cannot get the type of service we have been providing to our clients for 10 years. •	Our vision blinds are an excellent solution to get rid of inclement temperature as we have infused advanced technology into the quality. Our multi-striped blinds give high impact and are more value for the money. •	Designs of the fabrics that will blow you mind off! •	Highly efficient to control light and temperature whilst keep the privacy intact. •	Easy to use and durable. 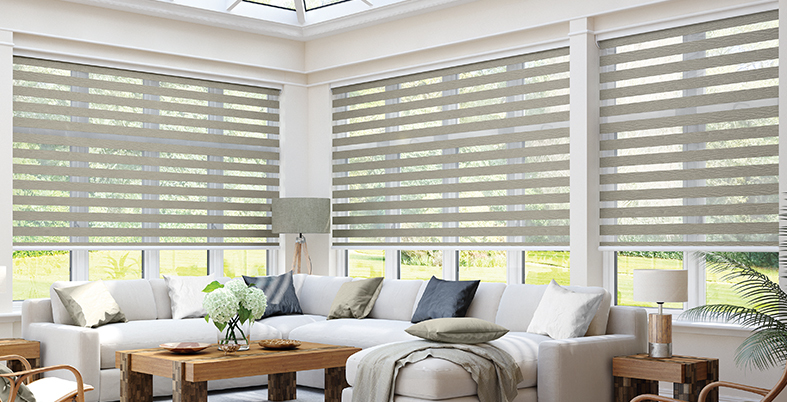 View our varied range of vision blinds and beautify your room in a distinctive way. Call us and book an appointment at your convenient time.